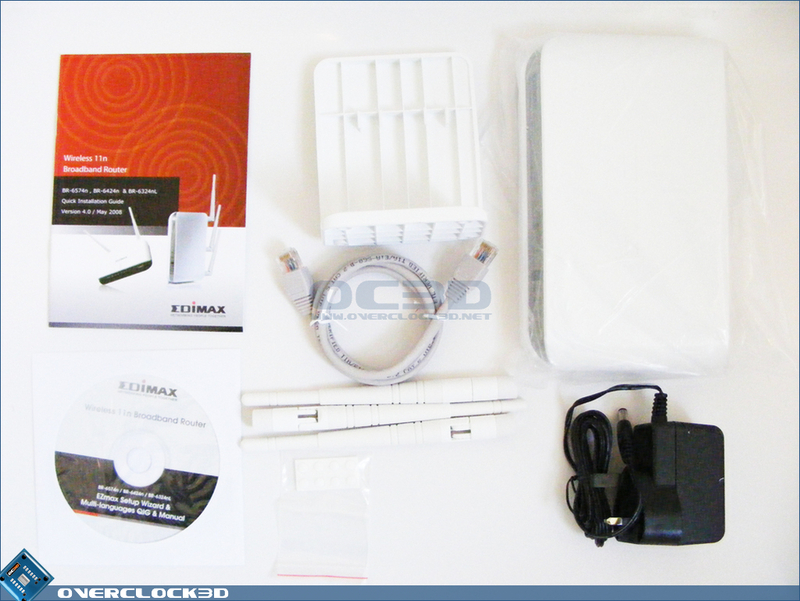 The Edimax nMax Wireless 802.11n Gigabit Router comes supplied in a cardboard box. 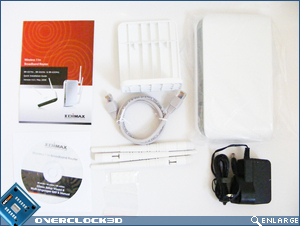 The box front exterior is printed with all the main features of the router and a nice shot of the router itself. 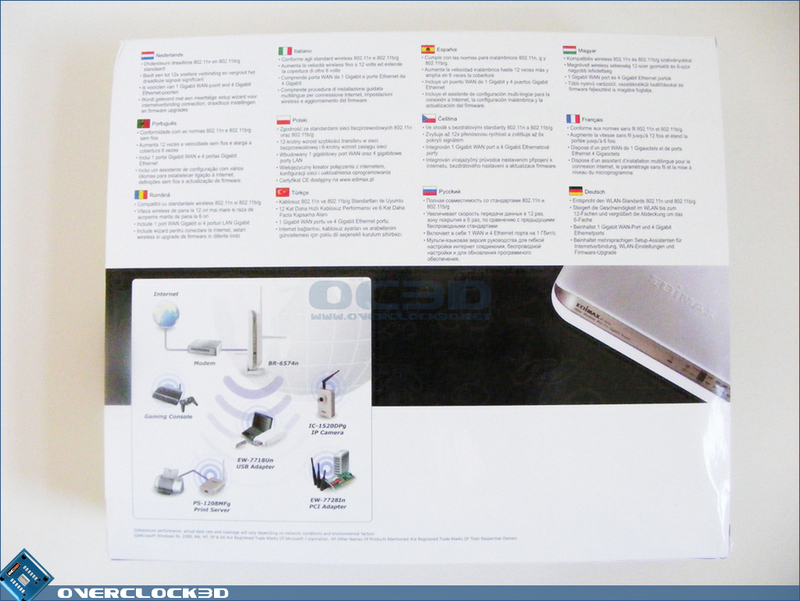 On the reverse, there are translations of the major features, in most European languages. 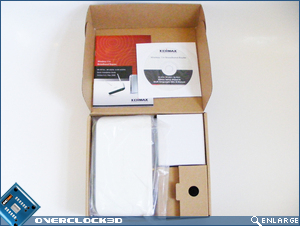 In all, the exterior packaging conveys a clean and simple theme, and is quite attractive and eye catching. 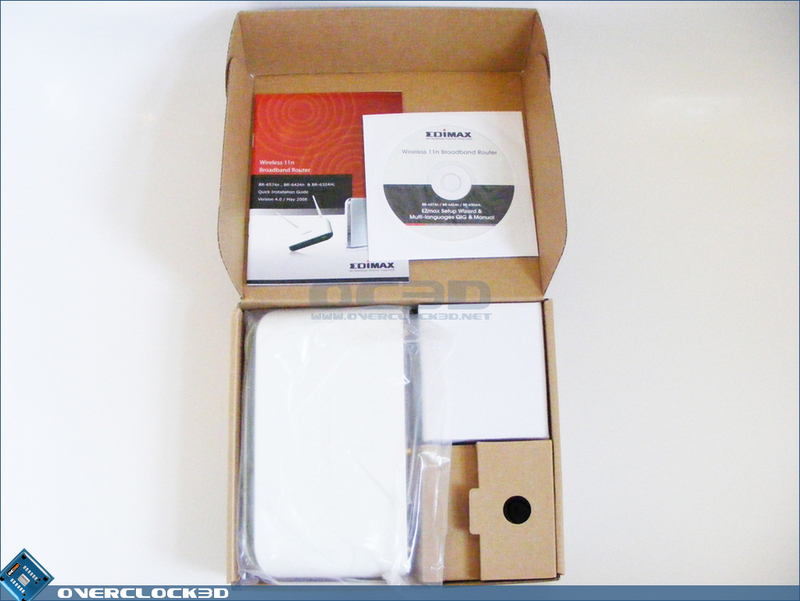 Upon opening the box, you will find everything securely packaged, and there was a protective wrapper placed around the router itself, to prevent scratching. No nasty surprises with the overall package, and everything is taken care of to ensure the contents make it home nice and safely from the shop shelf. As I said, it is attractively packaged, and the product should stand out well on the shop shelf. 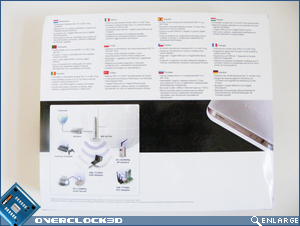 Moving on, let's take a closer look at the router itself, on the next page. Price on this for the features it has make it a very good purchase. The radio channels wouldn't really be helped by the dual 2.4/5.8 newer versions that are coming out, mainly as they're "meant" to be for media traffic devices. Only today looked at a view screen for a hd camera using the 5.8 freq to see the screen of the camera - it's pretty impressive. Ofc the 2.4g traffic doesn't afflict it. 2.4 being free for use does tend to get pretty crowded, but there are tools out there that will allow u to graphically see how busy the traffic is about u so that u can pick the best for ur setup. Notice a trend of them looking similar to what the Apple wireless-n predicted router will look like. Believe this is coming in May. Perhaps with the wireless n-iPhones. The price seals this unit for me. 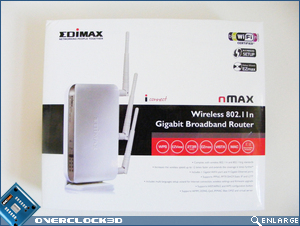 U can buy barely usefull wireless-g routers, with gigabit switches, for just under the price. I'm w8ing for a d-link 855? unit with the dual radio, out of interest above the features also. Thanks, and glad you enjoyed the review. Totally agreed on the price. I paid more for a 54g router a few months ago, and it hasn't got half the features of this one. 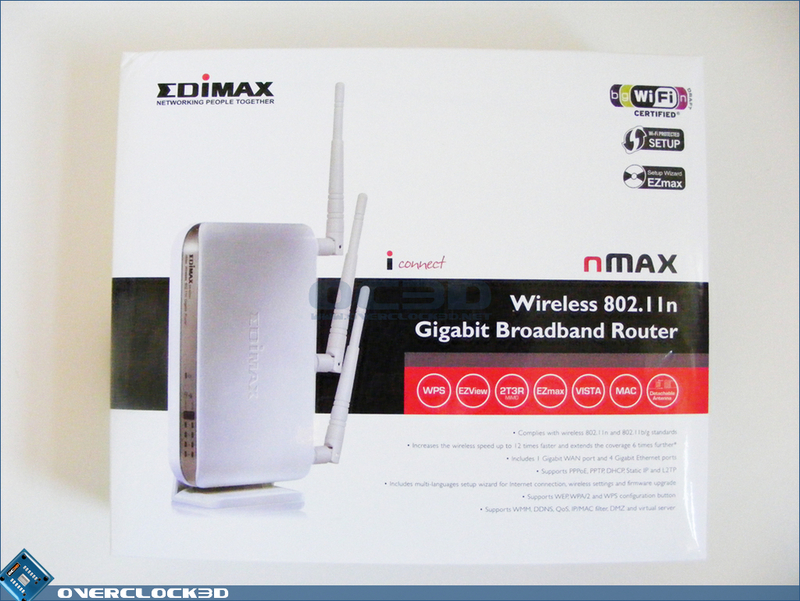 As I said in the review, I would recommend this router to anyone who wants to upgrade to 802.11n and gigabit LAN.